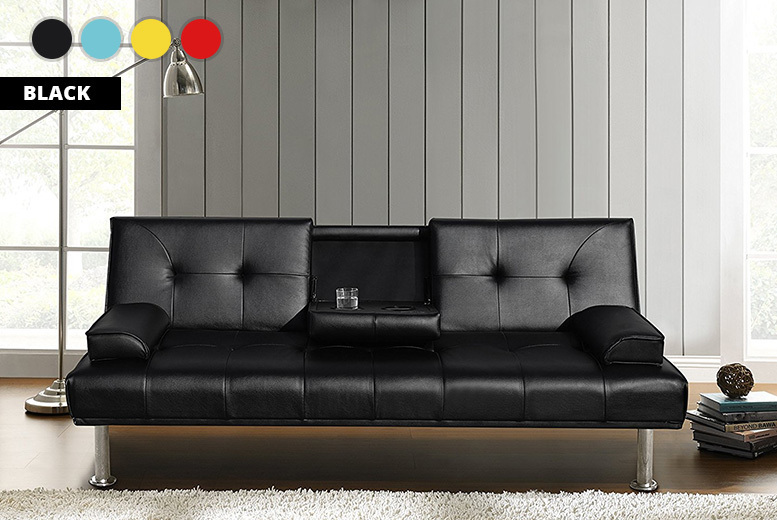 Get a 3-seater sofa bed! Coming in either black, blue, red or yellow. With cup holders and cushions! Has a click-clack mechanism to transform sofa into comfortable bed. With generously padded arms and pull down centre arm rest. With a high quality faux leather finish.